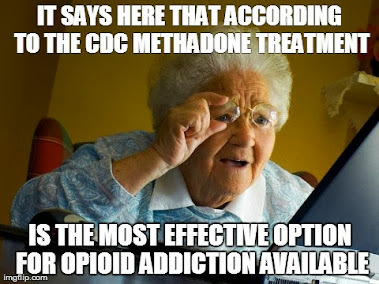 Methadone Clinics (or Opioid Treatment Programs, "OTP's") provide a safe way for people suffering from the chronic disease of opioid addiction to receive the most effective known treatment for their illness. Learn a little bit about how Methadone Clinics teach patients suffering from opioid addiction to re-learn and re-gain productive behavior with help from a licensed mental health counselor or other professional in this free video on methadone treatment and drug addiction. Overall, however, the main notion that "methadone clinics are a good thing" is very true and much appreciated. Some reports say that methadone treatment centers has no effect on addiction. But I still believe that with proper guidance of methadone dosage, it will have a positive effect on addicts like this post says. I'm not sure what reports you are referring to that say methadone treatment centers have no effect on addiction, @Adelaine, or at least I am not aware of any CREDIBLE sources that make such an outrageous statement. We have 40+ years on the effectiveness of methadone therapies for the treatment of opioid addiction, and countless clinical and academic authorities throughout the world have made that extremely clear (ASAM, WHO, HHS, CDC, etc.). It is true, and unfortunate, that there is much misinformation and stigma around methadone maintenance treatment, but the credible, scientific & medical sources are clear on this. :-) Much of this is due to "misinformation campaigns" by companies in the abstinence treatment field who stand to profit greatly (as they have and are continuing to) by encouraging opioid addicted patients NOT to seek medication-assisted treatments (MAT). 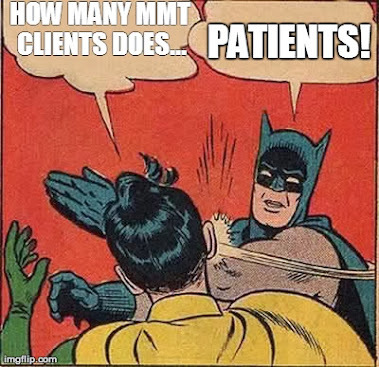 If patients go to MAT they will likely be successful in recovery, as the statistics show, and then these "traditional" rehabs won't be able to continue to charge tens of thousands of dollars for multiple failed attempts at treatment.... I know it sounds cynical, but it's a sad reality in the addiction treatment field at this time. I appreciate your support for evidence-based treatments, and thanks for reading! 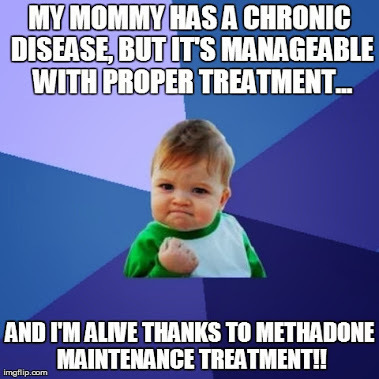 Im glad that there are people still out there that want people to know the good truth of how methadone really does save lives everyday as well as keeping people from useing needles and spreading diseases. Methadone saved my life along with drug meetings, a healthy diet, exersise, and councling i was able to over come my drug seeking behavior which in return stopped my illeagal activity. Sorry about my spelling..